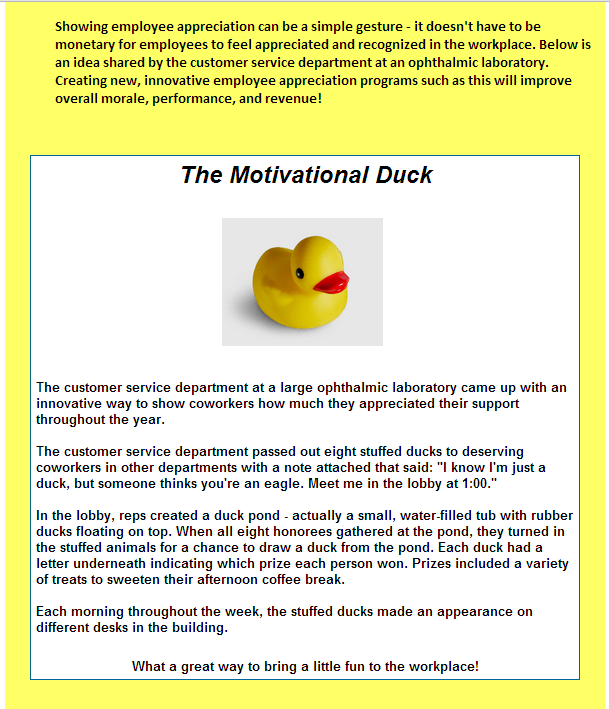 Everyone loves a “feel good” story, and employee incentive stories are no different. We recently ran this story in our newsletter, and it was a big hit! I wanted to share it with my readers as well, because it shows how a simple gesture can create fun in the workplace. If you are not currently a subscriber, but would like to be added to our mailing list, simply include your email at the bottom of this post. We promise to keep your contact information completely private, and we will send approximately two emails per month. Want to subscribe to our newsletter? We’d love to have you! Provide your email address below and you’ll start receiving emails similar to this one in the coming weeks!